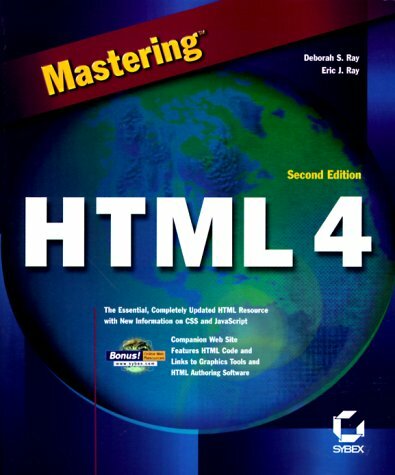 Mastering HTML 4, Second Edition, is the perfect resource for Web developers and everyone else in need of complete, authoritative information on the latest version of HTML. Covering everything from basic tags to proprietary extensions and powerful scripting techniques, this book teaches you step by step how to build Web pages that look and behave the way you want. You′ll also learn strategies for planning and developing sites that attract visitors and meet their needs–the true measure of your success. Deborah S. Ray and Eric J. Ray are owners of RayComm, Inc., a technical communications consulting firm that specializes in cutting–edge Internet and computing technologies. Together they have coauthored more than 10 computer books, including the first edition of Mastering HTML 4 from Sybex. They also write a syndicated computer column, which is available in newspapers across North America.